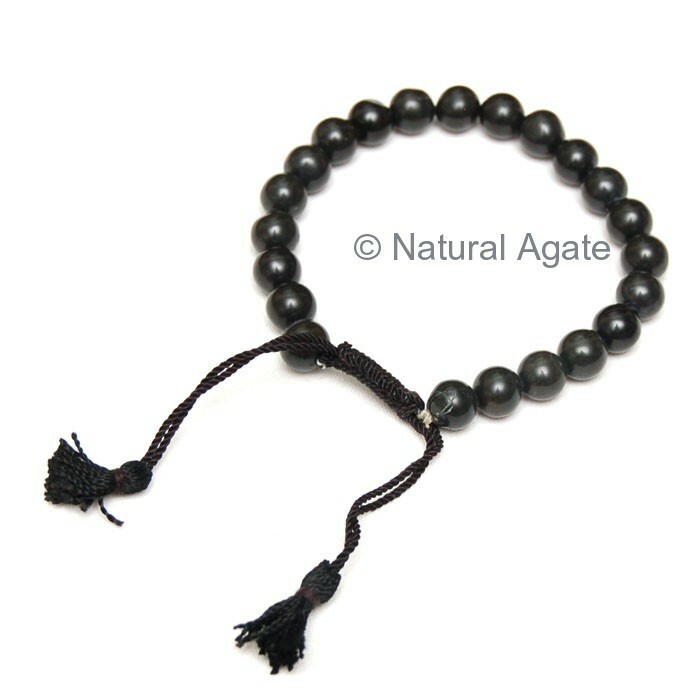 Black Agate Stone Bracelet is an elegant bracelet with a drawstring. It is available on Natural Agate at a fair price. It is 7in long.